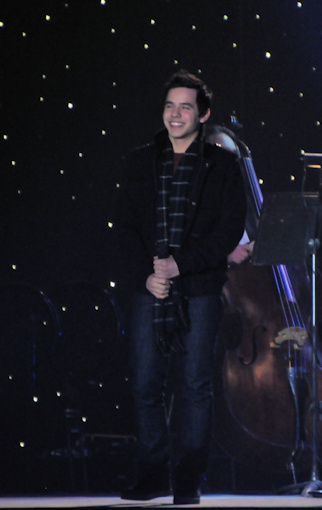 « David Archuleta ~ Time to BEGIN. 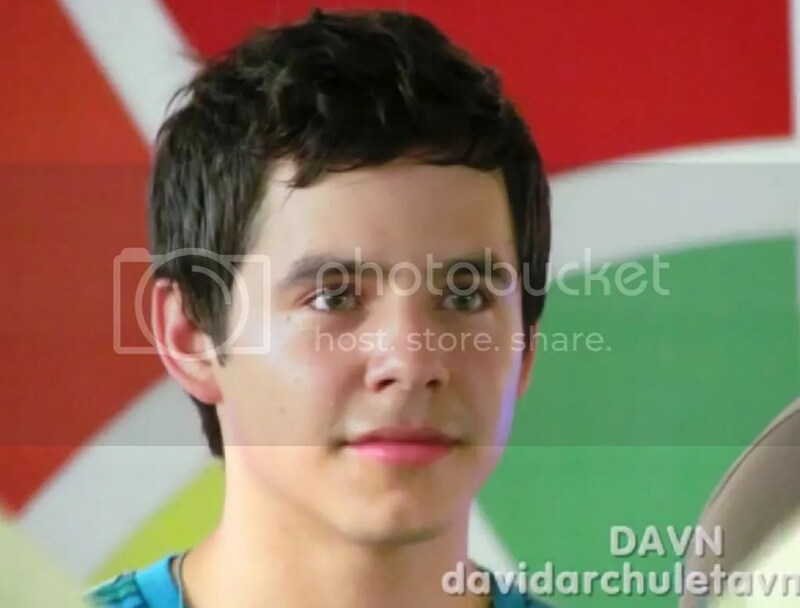 David Archuleta ~ BEGIN. Have A Favorite? BEGIN. It’s only a week that I have it in my possession and it’s already in my head, under my skin and coursing through my veins. I want to devour it, memorize the lyrics, phrasings and melodies until it becomes a part of me. I can’t get enough of this album. David’s vocals have a more mature sound on these songs that is very appealing. The more I listen, the more I crave and the more I crave, the more I listen. It’s fascinating, intoxicating and captivating. Last week, all ten were my favorites; I could not single any out that I liked more than the others. Now I notice that there are a few that are getting more plays on my IPod than others. My favorite is “Don’t Give Up”. I didn’t know this song existed before BEGIN. although I did sneak a peak on YouTube when I heard it was on the tracklist. It wasn’t a song that I fell in love with but I knew that would change once David got hold of it. I just didn’t realize how much I would love it! The depth and maturity in David’s delivery of this song shows how much he has grown as an artist. The one I keep avoiding is “Pride” but I know that will change because that’s the progression I go through with David’s music. I start out loving all the songs, then narrow it down to the ones I absolutely adore and the ones I avoid. Ultimately it goes back to loving each and every song. What are your favorites and why? Can you pick one? Can you pick five? Do you find yourself skipping any of the songs? Let’s discuss. 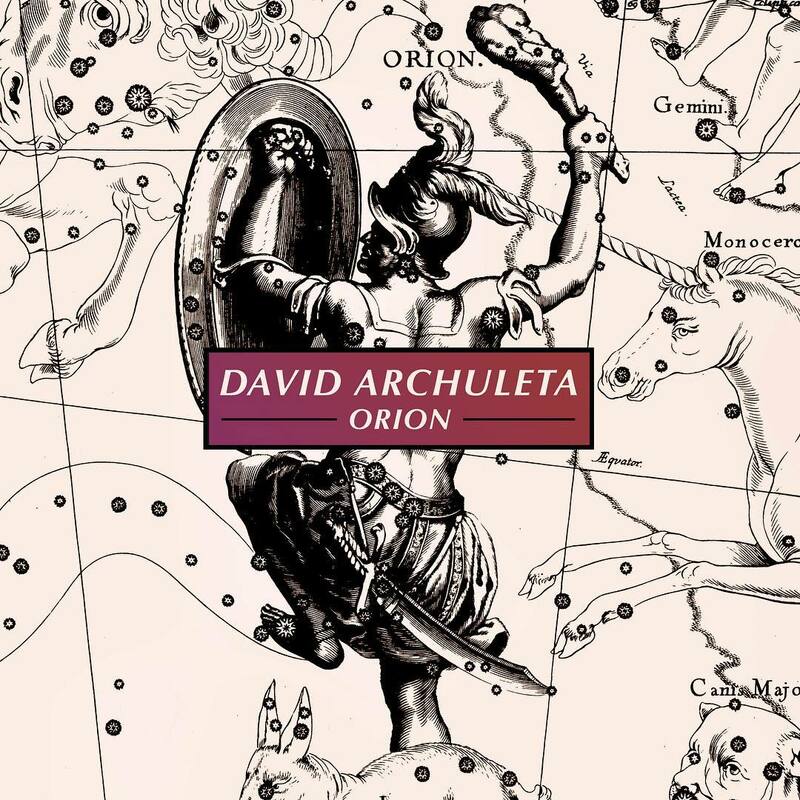 This entry was posted on Monday, August 13, 2012 at 12:39 AM	and is filed under David Archuleta, music, The Voice. 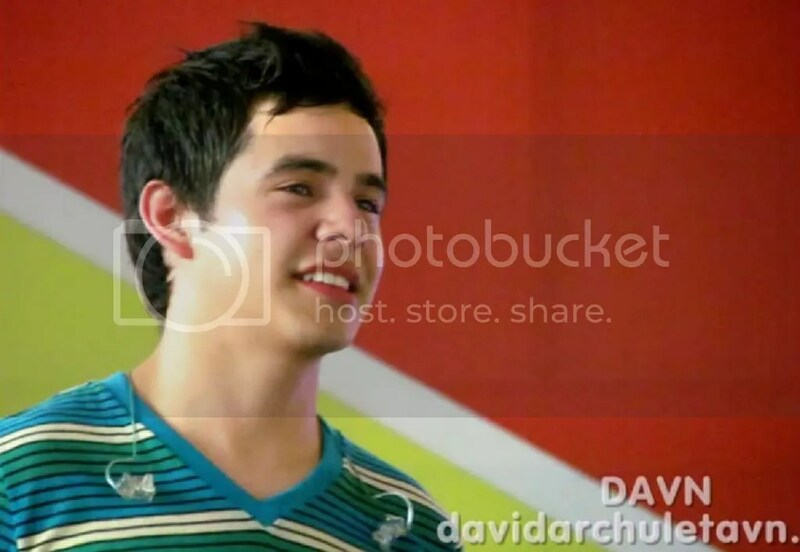 Tagged: Begin., David Archuleta, pick a favorite. You can follow any responses to this entry through the RSS 2.0 feed. You can leave a response, or trackback from your own site. I don’t really have a favorite because each song has it’s own meaning & vibe. I believe this was David’s intent and I absolutely love David’s BEGIN. It’s all I hoped it would be & more. It’s charting on iTunes which gives more people a chance to at least preview it & buy it. I know sales were not foremost in David’s mind when he recorded the album but exposure is a very good thing especially now and charting on iTunes where the majority of downloads are purchased legally is the best place to have exposure. It would be terrible if iTunes was not carrying it worldwide. I couldn’t be happier about the showing Begin has made on iTunes and actually on all the sales venues where the album was made available. Unfortunately it’s not in all the stores Deseret Books first listed. Not at the Walmarts or Target here. At least not the ones I visited. I was told they just didn’t receive the album. Anyway, I just can’t get enough of the album. I like what TOfan on SA wrote because I do get the pain David feels about some things people go through life & about life in general. I also like what HG on SD wrote about the album as well, although the “soul” I hear in David’s renditions are the emotions coming from his heart & SOUL. I don’t see that David “tried” to make any of the songs come across sounding like any genre. They are all in David’s OWN genre.. I know many fans are thinking he chose these songs to send a message about himself & about what he may have been going through or experienced at some point in his young life, which may be so to a certain extent. I believe he can relate to some of what the songs are about but not necessarily because he went through some of those experiences. I believe the songs he chose are more of a message to show us where his mindset has been all along about the kind of music he wants to make & is important to him. I think he wants to write lyrics which are meaningful, powerful and hopeful like these songs. He wants to write lyrics which will pack a punch in the world and make people take notice that there is much wrong in the world & how we have the power to help make things better if we just open our eyes and BEGIN to do something…anything within our own power to do something to make the world a better place. When David returns I believe he wants to be a force who will do more than talk the talk because he will also walk the walk. At least that’s what he hopes to do I think. David wants his fans to enjoy his album & his voice and how could we not? He is, an extraordinary human being who I think he does want success and all that goes with it, the fame & money, but ONLY as it would relate to being able to use that fame & money to influence people to follow his example. That’s what I get from BEGIN. I’m still not completely happy he is gone for another couple of years but I understand his need to have to be out of the spotlight until he can be viewed as as older, more mature man & artist. His music will be more accepted & relevant if he comes back with a different life experience & perspective. He can make the kind of music which he feels will make a difference without coming across as an artist who is faking experiences he hasn’t yet lived. I’m NOT talking about love & romance. Being a missionary is not an easy life & to be honest, not one I would have wanted for David but how else could he accomplish his goals? He will be a changed man, ready to BEGIN again & take on the world in his own way. There’s so much he wants to say and the only way he knows is through music. He is a man on a mission but it’s about so much more than being on a mission for his church. I’m Begin-ning to see & accept it. My wish for David right now is that with this album he gains new young fans & regains all the young teen fans who were so crazy about him & who are no longer teens & who have moved on for whatever reason. I hope with this album, they rediscover David & remember why they were so crazy about him. He has all his “older” fans who will stand by him through whatever may come, but he needs fans his own age who will support & grow with him through the years. It will ensure his longevity in the music industry where even the most talented artists struggle and disappear. I want David to be a force for generations to come. I believe it’s David’s destiny. I’m off to work to BEGIN another day & of course, listening to BEGIN throughout the day. Have a great day! Thank you SF, the thoughts you are sharing are beautiful and give a great insight into the makeup of the entire album. For us the fans to admire all of the songs, gives a great indication of how far this album will travel worldwide. I am truly excited for his direction of song choices that we had a first hint of at Myrtle Beach! Bebe, this article will bring out a lot of interesting comments now that we have had the album for one whole week! Once we settle down from listening to it in all the places we find or take ourselves, maybe a favorite will come to each of us or maybe 2 or 10! SF- Great comment and I agree that David wants to impact our thinking and so then move us to action; not so concerned about the money or fame. I especially see him championing causes and cultural changes that impact how we treat and support our children. And I mean all the children of the world. What a surprise. I heard Parachutes and Airplanes at JC Pennys last weekend and before that Crush at Ross. Wish we could have a billboard of Begin. here in Texas. I was on the road when the album dropped and was driving through San Antonio so I stopped at Best Buy at La Cantera. No album ;.). They said it was on back order. I had a 9 hour drive in front of me and no new album. Finally got to download it from itiunes. This album is a wonderland of auditory blissful and moving moments. I cannot stay away for too long without wanting to hear it again and again.I’d say I am in love with this album. Yeppers, “he’s got a hold on me” or something like that. Sorry Silly taking over. Back to lurk mode. So true Ram, he is for all children and all people in need. The children do not have a very strong voice to help themselves. Bebe♥ I love your top 5!! Those are my top five too ,right now anyway:)) But I love them all, they are all amazing. Don’t Give Up has me in its grip and won’t let go. I can’t get enough of that song. I agree with exactly what you said>>>” It wasn’t a song that I fell in love with but I knew that would change once David got hold of it. I just didn’t realize how much I would love it! The depth and maturity in David’s delivery of this song shows how much he has grown as an artist.” YES! It surprised me to discover this song was on the album, but I am so glad it is.We all speculated who would be singing with him too remember?I think it was brilliant that they chose someone with a unique sound to go with David’s beautiful vocals on this song.Its the perfect fit.She sings her part, beautifully. Ram,”This album is a wonderland of auditory blissful and moving moments”. perfect description Ram,That says it for me! SF, DITTO!!! I agree and have thought, exactly, this way about David’s life. Thank you for writing it out for us to read. You always express yourself well. I love what David has done with “Beautiful” so that’s at the top of my list of favorites. That’s true what Bebe said about liking all of the songs, then choosing a few and then going back to loving them all. there may be a message somewhere, like you, I don’t necessarily think it’s David’s life story. I think there are several messages, depending on the song. One might be as simple as, In life, we all experience happiness and sadness, joy and heartache but we shouldn’t let it get us down; we should hang on because life is worth it. Another message may be to be kind to each other; help one another make the world a better place and that the time to BEGIN. doing that is now. David has such a good heart and is always thinking of the next person, whether it’s the lepers in India or the fan in the front row who is getting squished at one of his shows. “He has all his “older” fans who will stand by him through whatever may come, but he needs fans his own age who will support & grow with him through the years. It will ensure his longevity in the music industry where even the most talented artists struggle and disappear. I want David to be a force for generations to come.” <<< Loved this, SF and I totally agree! Thank you, SF, Seeing you here has brightened my day! A week of listening, of absorbing the beauty of The Voice on this wonderful piece of work. As fans, we are so blessed. I feel your pain…a nine hour drive and no cd but so worth the wait. What would we do without iTunes? I still haven't received my copy from Deseret. I'm hoping it's in the mail today. Loved your comment: "Finally got to download it from itiunes. This album is a wonderland of auditory blissful and moving moments. I cannot stay away for too long without wanting to hear it again and again.I’d say I am in love with this album." Yes yes and yes! I like True Colors. I really like True Colors which I’ve always hated but he changed it and made it new for me. All the other songs are really pretty and his vocals are gorgeous. I’m grateful for all the hard work he did to leave this music for the fans. SF, I have to totally agree with your comments (I think I usually do…I like the way you think and write). So, thanks. “I cannot even think of words to express my thoughts and feelings regarding BEGIN. The love that David put into this album is evident. I could honestly think that this one means more to him than his first one. Of course, his first cd put him out there. It gave him to us. It let us learn to know him and vice-versa. But, with BEGIN. he has given to us who he really is and where his head and heart are. 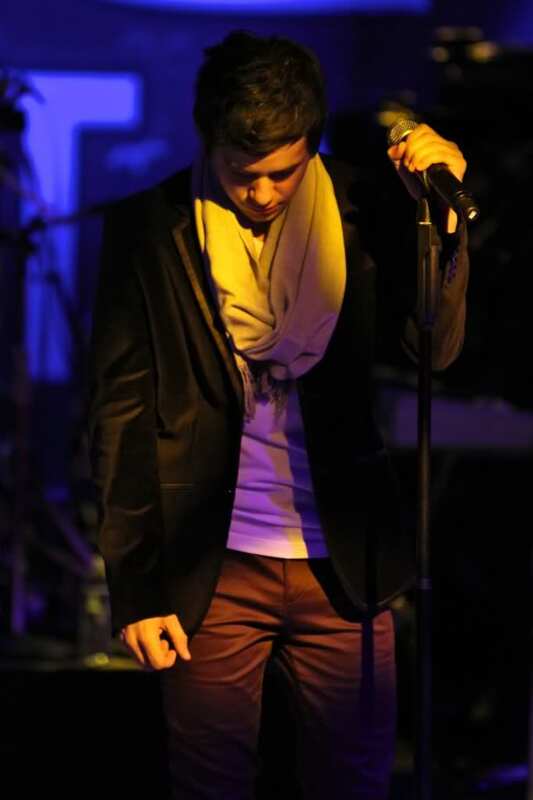 There is no question that David Archuleta is grounded in his beliefs and faith. He knows where happiness lies, and he wants us to find that out. I do find myself in a different warp with Everybody Hurts… for right now. I’ve got children and grandchildren in this zone right now. As most parents/grandparents do, I wish I could do their living for them…. with the wisdom that comes from age and experience. Last week, I didn’t think it would be possible to choose a favorite, because they all really spoke to me. There are a few, however, that are starting to “require” repeat listens…True Colors, Beautiful and Broken top the list right now. Like Angelica, I never really liked the original True Colors, but I just love David’s interpretation of it. It’s always so interesting to see how different songs appeal to different people. I always felt that I was the only one that loved Parachutes and Airplanes on the TOSOD album. but I love the whole album. Enjoying this album so much! All of it, every track, over and over. I find myself drawn mostly to Everybody Hurts even though it almost brings me to tears and I don’t really know why. Then to Don’t Give Up, BOTW, Broken and BSMS. So grateful for this album, a masterful piece of work by David — thanks must also go to Kurt Bestor and Hancock for respecting David’s phenomenal talent. Now if I ever receive my half-dozen CD’s from Deseret, I can spread David’s music around to family members (maybe they’ll even listen to him this time?). bebe, “I can’t get enough of this album”…same here. This is his first album that pretty much every time I listen, I play the entire album – some songs I repeat a couple (or 3 or 4) times, but I don’t skip any songs. Can’t say that about many albums I have purchased over the years. SF, enjoyed reading your post. Ram, P&A and Crush, wow, love that! I can’t pick. It’s like saying I love one of my children more than the others haha. It’s how I feel right now. My 15yr granddaughter listened and this is what she had to say. I love them all but I do have favorites, ones I tend to repeat before continuing. I used to have two favorites, now I have four. LOL The list is growing. But I do eventually listen to the whole thing because they are all beautiful. And I agree with you and SB. I don’t think these songs are a reflection of his own pain or experiences. I think it’s his recognition of the pain mankind endures, whether it is his, someone he knows, or people he’s never met. I think the cover songs are his request for us to recognize people who are hurting and need help. I think his title is his plea. I think the title is written the way it is with a period at the end because it is, in a way, a request/command. Whether to us or to himself, I’m not sure. First he tells us about those in need in these cover songs. Then in Broken he asks us if we hear what he hears and feel what he feels … then says it doesn’t matter until broken lives heal. BEGIN. to make a difference. His way of telling us that it was time, time for him to BEGIN. to do his part to help, and maybe hoping others will recognize the need and do the same. I think the title is brilliant. Oops! Sorry for the very long rambly comment. Bebe, your post …. can’t find words! I love it!! I can feel a hunker-down, Archu-growl in there >>>…’in my head, under my skin and coursing through my veins. I want to devour it, memorize the lyrics, phrasings and melodies until it becomes a part of me. I can’t get enough of this album.’ 🙂 I just want to reach thru my computer and grab at the gorgeous sounds coming from it. I must say, ear buds really do put a whole new sound to it. There’s a growl in Beautiful that really pops out when using them. I still don’t have a very best favorite, just ones that speak a little more to me. He is the One and once you plug into the Matrix, there’s no getting out of the rabbit hole. i.e. my comment # 9, it’s not that he doesn’t change all the songs and make them his own, but True Colors was a huge surprise for me, so color me amazed. Again. Having a little trouble posting comments tonight. Been at it for the last hour so please forgive the delay in replying. I so appreciate all of your comments! “I challenge any other single artist, to pull this collection of songs together and have them all sound this incredible on so many different levels!”<<< I totally agree. Furthermore, that David was able to pull off this incredible album in such a short time shows what a phenom his is. You're right, he can sing any genre. That's why producers have had such a hard time sticking a label on him in terms of genre because he fits every genre there is! Thanks for your comment. When David released his first album I wasn't wild about "Your Eyes Don't Lie" and usually skipped the song. After I saw him sing it live, that all changed. 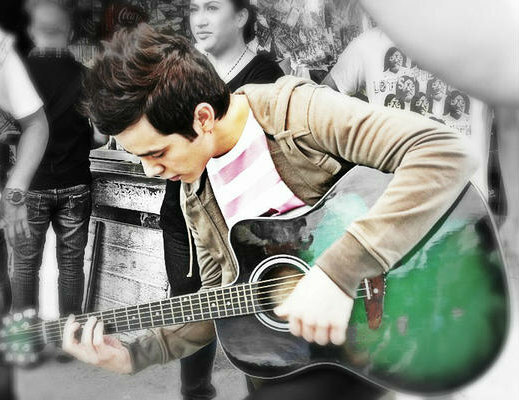 He has a way of making you love a song. I love what David did with "True Colors" and I never cared for the Cindy Lauper version, either. "Parachutes and Airplanes" is my music teacher husband's favorite song on TOSOD! So upbeat! “Everybody Hurts” brings a tear to my eye, too. Many of the songs do because I can hear a cry in David’s voice throughout the album. It’s more noticeable in some songs than others. May have been a difficult week for him and he put all of his emotions into his singing. I’m beginning to think something’s wrong with me. Oh yeah, it’s ODD. LOL I wake up with a strong craving to hear BEGIN. and must hear it again before going to sleep. Several times during the day, too. I didn’t like Libbie’s voice on “DGU” at first but now I really like it and love the harmony on their voices on the last line: “There’s a place where we belong.” I’m interested to hear what your granddaughter will say after several more listens. Keep us posted, please! I love your take on the title BEGIN! Your analysis is spot-on! I totally agree about headphones for this album. They are a must! You can hear every gasp, sigh, inhale, exhale and most of all the delicious background voices that are all David. Too beautiful not to share. Found this on Twitter from CanadianArchie. Bebe, my top 5 are your top 5. I love David’s version, it’s just not my fave. p.s. There is one part of Broken where I swear David turns a vowel into a consonant and then back to a vowel. The word heal. first, I was arranging the papers on my trip to Chile, saving paper, tickets, the things that gave me Elders in the church, the day of the event and exit permits and entering Chile, etc, etc. In one of the envelopes, I had hidden u $ s 600 and I had forgotten all about that money. This will have any meaning??? 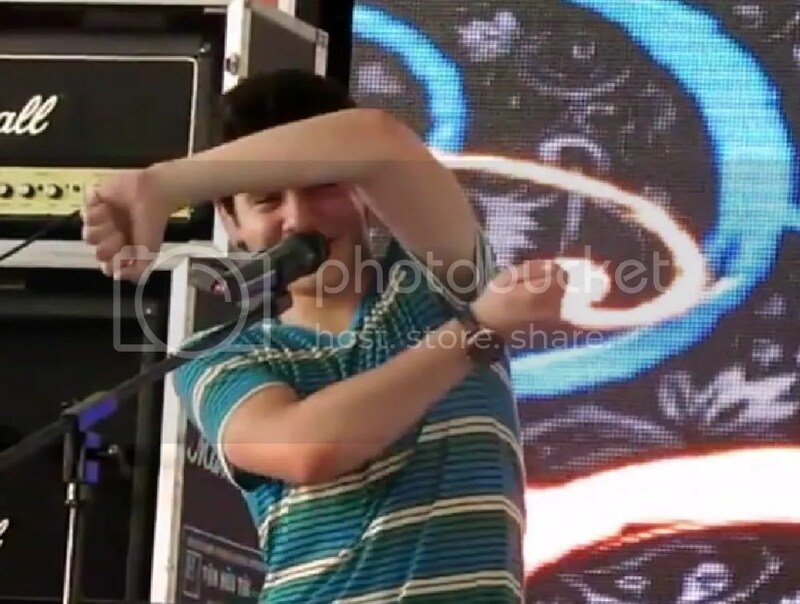 The second thing is I found this video on David Archuleta Vietnam. At around 1.40 marks, you can see David Trying to Show That He Was a fan holding a banner upside down. So cute! Found money is always a good sign! Bebereader and all the comenters above, I have to say I love this post and all the comments up there.. how true and spot on everything in this post is !! I totally agree with you all, I can only add that I’m still in the same stage as Ram 🙂 , I liked “true colors” but never love it ..David makes me change my idea <3. I never liked "Beautiful" because of the original lyrics and how some singers make it sounded like the song was so full of oneself (duck away from tomato hehe) but with David's interpretation it sounds encouraging and well "beautiful" instead !!! I never knew half of the songs exist until "BEGIN." ( ha I live under a huge rock hehe) every song has it's moment of making me cry at some point I mean every song!!! and now I know it's not only because of the lyrics it also has everything to do with WHO sings it and David moves me like no other singers has done before!!! and I'm not young too. Betsy#25 The word “heal” has it’s own deeper new meaning when David sings it, give me chill everytime. Angel- I never have heard this song all the way through because I turned the channel when the animal abuse commercial came on. I now know the song as only David can sing it. Broken- The acoustic start is classic David. Love the violins in this song. Don’t Give Up- Haunting melody, beautiful vocals by Libby and David. I agree she is channeling Eva Cassidy. Thank you for the video. It needs no music or words, just to watch him be himself is all I need. LOL I must be living under the same rock. I had never heard most of them either. And I’m glad to see someone besides me list Beautiful among their favorites. I love that one! Beautiful and Broken are tied for top of my list. I guess it just goes to show that no matter what he’s singing, it really is all about that phenomenal voice and the incredible things he is able to do with it. I wonder why he sang “And pain is all around” instead of “And friends just can’t be found” in the first verse. True Colors comes a close second. Love the middle bit when he lets out his hmms and “don’t be afraid” (I think), and also how he doesn’t voice parts of some words. I don’t think I am making any sense but I really don’t know how to put in words how awesome the song is to me. BOTW and True Colors are the two songs I keep playing over and over. And Broken – I love how he builds and builds the song and then lets out that classic David wail. #16 MT I think you got it – it’s exactly what he is trying to say! when I heard this song was going to be on the album, I was very worried I would not be able to listen to it, for the same reason as you Abrra, its association with the animal abuse commercial.The tv has to go off immediately can’t watch or listen to that. It ruined the song for me. Until David. … me too. 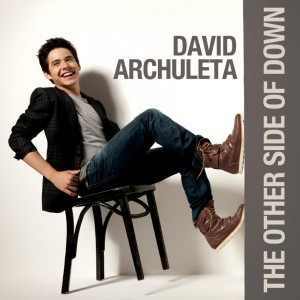 Its different when he is singing it.David brings me to a new place, one of beauty again with his cover. I can listen once again with new ears, and it is one of my favorites once again.He takes me to a different place,♥ He is amazing. This one has taken some of us more time to come to terms with. Sometimes just wait for the “Hi there, this is David” makes the missing him hard but by giving us BEGIN. he has in his own genius way communicating what you said to us. Who cares that much for his fans to do this? I didn’t know all these songs and on those his voice and melody alone send a message. The pain and sadness is palpable but the strength in all is HOPE. I listened to David’s speech at the women’s conference last night and he’s been sending us this message since he first auditioned for idol with Waiting On The World To Change. David had to step away to create change, I’m so in awe of him. I’m still listening to every song, can’t skip a single one. I just can’t get past the voice. I put the album on shuffle so I don’t know what song is coming next and wow, it’s like hearing every one for the first time again. David’s background vocals are genius. I love the dips into his lower register. I’ve said it before and I’ll say it again, I’d love a cd of just his background vocals. Thank you Bebe for continuing the BEGIN. conversation. Kurt Bestor says what we’ve been saying for a little over four years now. 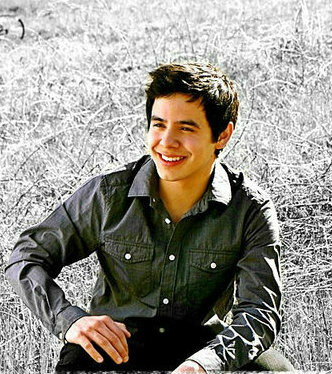 Before he departed on his mission for The Church of Jesus Christ of Latter-day Saints, singer David Archuleta recorded one more album. That album, “Begin,” was recently released by Highway Records and is now available in stores. 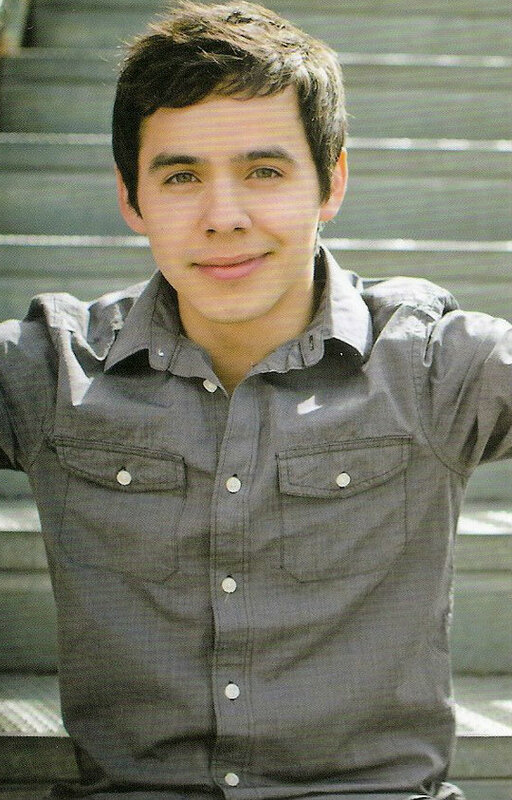 “I hope you know that I never wanted to leave you guys without music, and will continue when I get back,” Archuleta wrote in a thank you to fans that came with the CD. 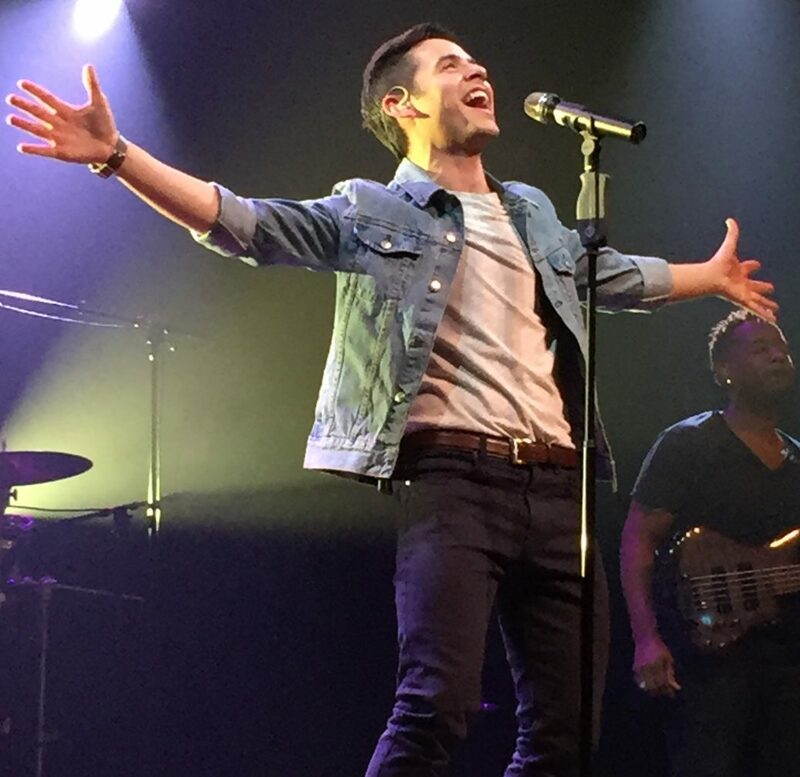 Archuleta hand-picked each song for this release with the hope of inspiring listeners. 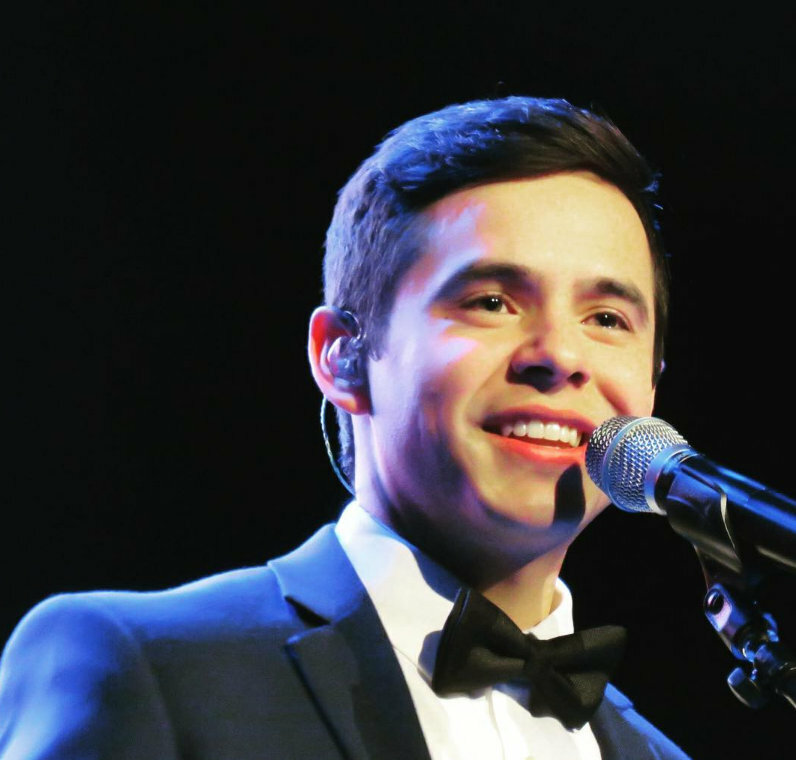 The album features several popular songs, such as “Angel,” “Bridge Over Troubled Water” and “In the Name of Love.” Also included is a never-before-heard song that was written by Archuleta, titled “Broken.” The last song on the CD, “Be Still, My Soul,” will please Latter-day Saint fans. 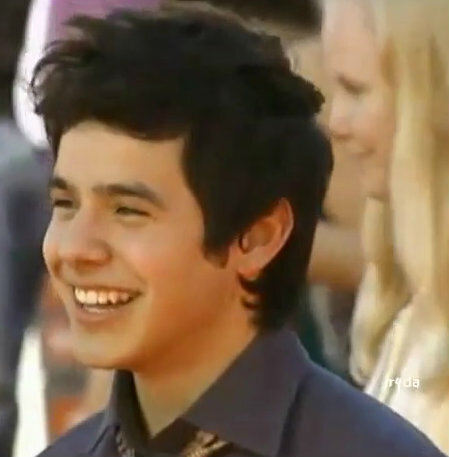 Producer Kurt Bestor said he was impressed with how Archuleta made each song his own. For more information on “Begin,” including interviews he granted before his mission to Chile, visit deseretbook.com. A radio station doing BEGIN. give away???!!! 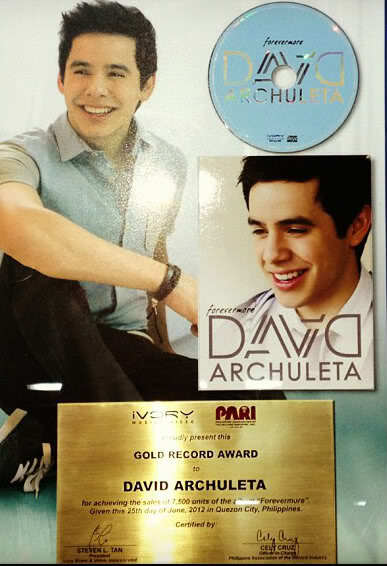 Love David Archuleta? Know someone who does? 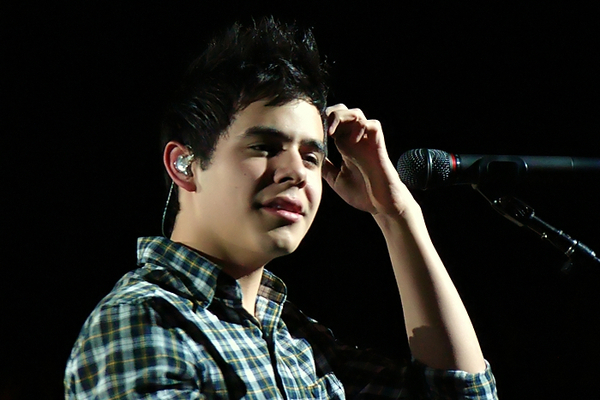 Then listen to win the new David Archuleta CD, “Begin,” all this week on EZ Rock 106.3. Read more for the details on how to win. 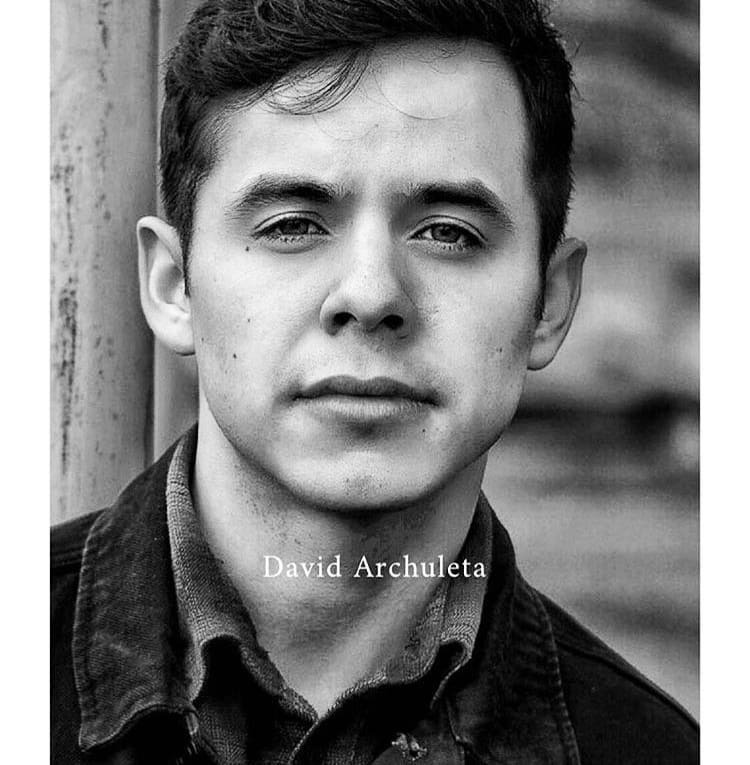 David Archuleta’s new CD includes stunning performances of popular hits like “True Colors,” “Beautiful,” and “Somewhere Only We Know.” It also includes the new hit single “Everybody Hurts,” and “Broken” which is a an exclusive never-before-heard original track written by David. Listen to win all this week. We’ll tell you when to be caller #5 on the EZ Rock line at 542-1063. Good luck and thank you for listening to the new EZ Rock 106.3. To purchase the new David Archuleta CD “Begin” – click here. Okespanol (Spanish article with Lupe being quoted) Google translation below. 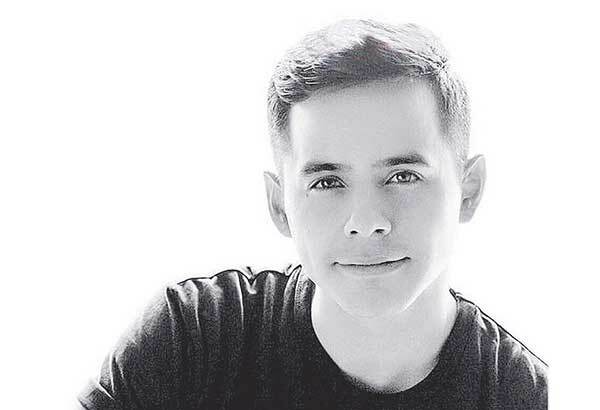 Los frutos de los esfuerzos del astro musical, David Archuleta, de semanas antes de irse a prestar una misión proselitista para la Iglesia de Jesucristo de los Santos de los Ultimos Días, salieron a la luz esta última semana. Se trata de su más reciente producción, la cual fue grabada semanas antes de presentarse al centro de entrenamiento misional. Con este álbum, Archuleta, le da un obsequio a sus seguidores y les refuerza su amor y pasión por la música, así como su aprecio. “Fue un trabajo duro que requirió de él un gran esfuerzo”, comenta Lupita Mayorga, madre del ídolo musical. “Le dio todos sus esfuerzos y todo su corazón”. Trabajó largos días, no solo memorizando las canciones, sino practicando cada una de ellas, tal como lo dice su madre, ensayaba hasta que su voz ya no le daba más. “Para él era muy importante dejar este regalo a su querido público y recordarles que el ama la música y que nunca la dejará. Que él va a seguir cantando”, asegura su madre, muy orgullosa por los frutos del trabajo de su hijo. Lupita reconoce que David es un joven muy responsable y que haría lo que fuera, para cumplir con sus metas. “Además de ser un joven muy responsable, es muy talentoso y eso le ayudó en esta gran tarea, que yo no sé como la hizo”, agrega. Lupita se encuentra muy enaltecida de la decisión que su hijo tomó, porque es una oportunidad única en su vida y aunque lo extraña, sabe que es lo mejor para él. “Muy pronto, cuando termine su misión, vamos a tenerlo nuevamente entre nosotros cantando, porque la música es su vida”. Las canciones que están en el CD, fueron escogidas muy cuidadosamente por Archuleta, con la finalidad que fueran una fuente de inspiración, esperanza y conectividad espiritual. El nuevo álbum contiene temas populares tales como “Angel” de Sarah McLachlan, “Bridge Over Trouble Water” de Simon & Garfunkel, “In the Name of Love de U2 y una canción que nunca antes se había escuchado, escrita por Archuleta mismo, llamada “Broken”. “Los seguidores estarán encantados al escuchar a David en una forma totalmente nueva, mientras que otros obtendrán una apreciación más profunda de este talentoso joven”, declara el productor Kurt Bestor. Agregó que una voz como la de Archuleta se presenta con tan poca frecuencia, que en más de sus 30 años de organización y producción para cantantes, sólo ha conocido a una pareja que ni siquiera se le acercan. “Lo que realmente me sorprendió y me asombró fue ver cómo David fue capaz de hacer estas canciones con personas tan diversas, y que no se les puede comparar, que a pesar que han sido escritas y cantadas por un grupo dispar de cantantes en una amplia variedad de estilos, su voz se fusionó de maravilla a cada uno de los estilos y canciones. De acuerdo a un video que Archuleta dejó pre-grabado, el nuevo álbum tiene canciones que son relajantes, agradables de escuchar porque quería que a medida que él entrara en esa nueva etapa de su vida, sus fans pudieran entender el por qué de sus decisiones, y por qué son tan importantes en su vida. Tan pronto el álbum estuvo a disposición del público, los comentarios inundaron las redes sociales. Comentarios como, “No puedo dejar de escuchar “BEGIN.” David… ¡Definitivamente me encantó! Muchas gracias por este regalo tan maravilloso. Puedo sentir los sentimientos de tu corazón y tu pasión, en cada una de las canciones. Verdaderamente, has malcriado a tus seguidores”. Otro comentario dice que es un álbum que le ha llenado su corazón, y que lo ha motivado para hacer algo beneficioso a alguna persona. La voz de David Archuleta continúa asombrando. Es impresionante, la manera como pudo plasmar sus emociones y sentimientos, a través de la letra de las diferentes canciones que está interpretando. Wow, no puedo creer que la fecha de lanzamiento del disco “Bigin.” finalmente ha llegado! Había tanto que hacer en tan poco tiempo, pero necesitaba dejarle saber a mis fans lo mucho que este álbum significa para mi. Sin duda, es un álbum que ha sido realizado en contra de toda posibilidad, pero hecho para las personas que han significado mucho para mí, y una manera, por decirlo así, de llevarlos a vivir el momento en el que actualmente me encuentro. Estas canciones tienen una razón detrás de ellas, y espero que a través de este álbum puedan entender mejor por qué estoy aquí en mi misión. Muchísimas gracias a todos los que me dan su apoyo. ¡Espero que puedan sentir el corazón que está en cada una de estas canciones! 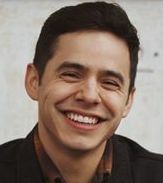 The fruits of the efforts of the musical star, David Archuleta, weeks before going to provide a proselytizing mission for The Church of Jesus Christ of Latter Day Saints, came to light this past week. This is his latest, which was recorded weeks before taking the missionary training center. 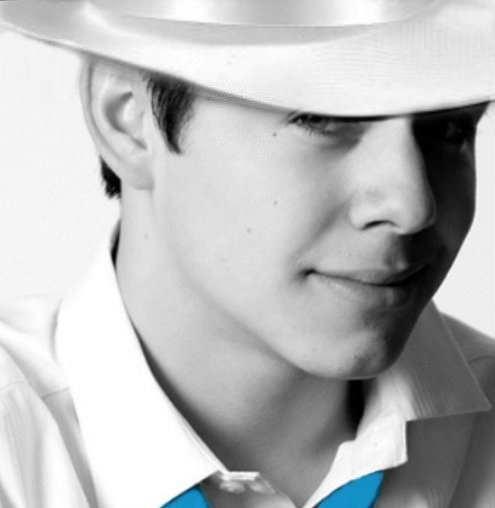 With this album, Archuleta, gives a gift to his followers and strengthens their love and passion for music and its appreciation. He worked long days, not just memorizing the songs, but each practice, as his mother says, rehearsing until his voice gave him no more. “For him it was very important to make this gift to his beloved public and remind them that love music and never will. That he will keep singing, “says his mother, very proud of the fruits of labor of his son. Lupita recognizes that David is a very responsible young man and would do anything to achieve their goals. “Besides being a very responsible young, very talented, and that helped him in this great task, which I did not know like,” he adds. Lupita is very exalted of the decision that your child took, because it is a once in his life and although she misses him, he knows what is best for him. The songs on the CD, were chosen very carefully by Archuleta, in order to be a source of inspiration, hope and spiritual connectivity. The new album contains popular songs such as “Angel” by Sarah McLachlan, “Bridge Over Trouble Water” by Simon & Garfunkel, “In the Name of Love U2 and a song that never before heard, written by Archuleta himself, called “Broken”. “Fans will be delighted to hear David in a totally new, while others will gain a deeper appreciation of this talented young man,” says producer Kurt Bestor. He said a voice like Archuleta appears so infrequently, that more than 30 years of organization and production for singers, has only met a couple that even comes close. “What really surprised me and amazed me was how David was able to do these songs with people as diverse, and can not be compared, although they have been written and sung by a disparate group of singers in a wide variety of styles, his voice wonderfully merged each of the styles and songs. 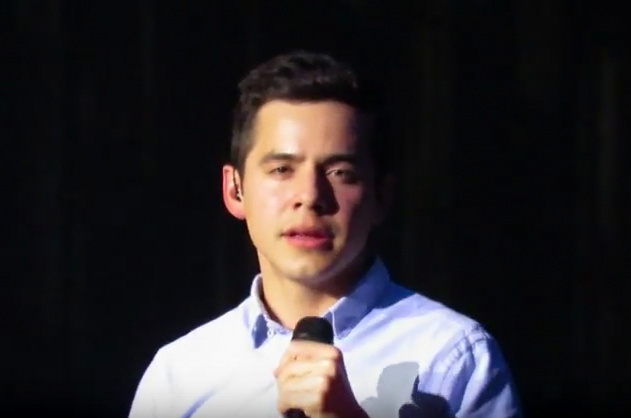 According to Archuleta left a video pre-recorded, the new album has songs that are relaxing, enjoyable to listen to because he wanted as he entered this new phase of his life, his fans would understand the reason for their decisions , and why are they so important in your life. Another comment says it’s an album that has filled your heart, and that has motivated him to do something beneficial to anyone. 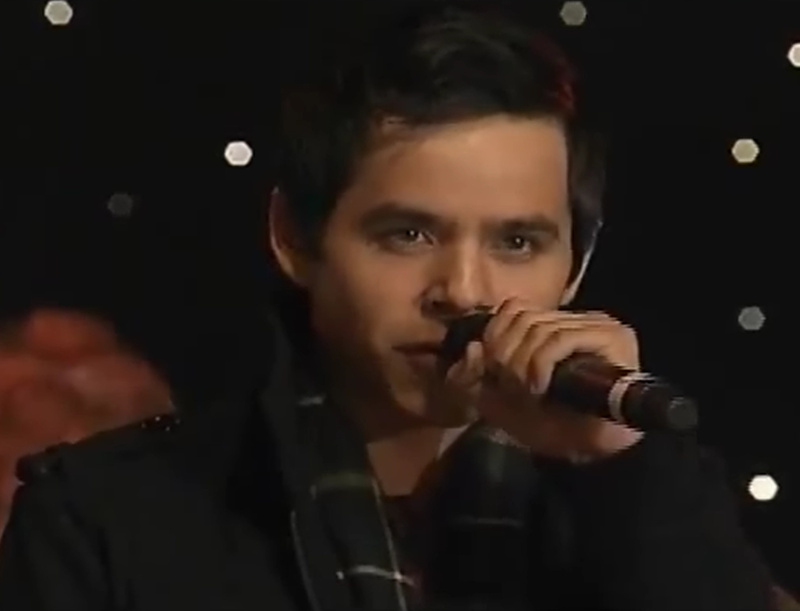 David Archuleta’s voice continues to amaze. It’s impressive how he could capture their emotions and feelings through the lyrics of different songs that are playing. Wow, I can not believe that the release date of the album “Bigin.” Has finally arrived! There was so much to do in so little time, but I needed to let my fans know how much this album means to me. It is certainly an album that has been made against all odds, but made for people who have meant so much to me, and one way, so to speak, to bring them to live in the moment in which I am currently. These songs have a reason behind them, and I hope that through this album can better understand why I’m here in my mission. Many thanks to all who give me their support. I hope you can feel the heart that is in each of these songs! Reading the article above and what David went through to get BEGIN. out is remarkable. I would say David truly has a relationship with his fans. Dang it I got to get to the movies!!!! Just leaving the movies @AMC and heard Beautiful by @DavidArchie and the promo for BEGIN. So proud!! Well not bad under the circumstances 🙂 This doesn’t include Deseret numbers since they only report them to Billboard according to their tweet. Those numbers are due to come out Wednesday. I’ve had no expectations on how BEGIN. would do but this is a very pleasant surprise. He’s dropped to #17 on itunes in top pop and #109 in overall albums. He’s remained steady in the best sellers on Amazon and Walmart. Just got to keep helping this amazing album by keeping his name out there! Well if that’s his number without Deseret, then I would think it would be at least twice that, wouldn’t it? Not bad for someone who’s on the other side of the planet at the moment. And yes, I am seriously considering going to the movies just to hear the ad! haha My ODD is getting the best of my. I am going from ODD to being just plain odd. I have been watching it a lot this past week. I needed to see and hear him. It helps. I wholeheartedly agree poco, David moves me like no other singer has done before. See you in Nandito Ako chat! Favorites; I am trying to remember these are songs not children. I have two categories, those I can’t get past without repeating at least once, and those I can listen to and go on to the next. I can Never listen only once to Broken or Bridge over Troubled Water. In fact, the only way I can move on from BOTW is because I know Broken is next. I also play Everybody Hurts, Don’t Give Up and Pride as many times as I can get away with. I would add BSMS to this list, but I have sworn off due to embarrasing situations. I love every song. His voice, his heart, his joy and passion. All that goodness just “swoops” into my heart and makes me Happy. I have “the green gem” in my hand!!!! omg omj !!! when it rains it pours haha I recieved my first 2 cds from Amazon at noon today (which supposed to arrive in mid Sept according to them) and after 3 hours the postman ring the bell I’ve got the rest from Onedavid 🙂 just 3 hours apart, I ‘m so happy I could burst lol, my brain is not function properly yet as of now haha I’ ll go to my quiet corner to “study” “everything” in that precious green package…this will take a longgg while, when I come to my sense I’ll get back to you all on what are my top 5 on BEGIN…. Oh I wanna kiss Amazon and Oneddavid but how, lol !? and the postman looked at me strangely when I repeatedly say thank you! thank you! thank you! to him!!!! I must look very scary to him… he sped off haha. fenfan, #33, that is just how I feel about BOTW! The way he sings “comes” in “when darkness comes”! I keep listening to that line over and over, need a merry go round of it!!! I woke up to this song today on my alarm and oh, it was so beautiful. So I think I would have to say that is my favorite, along with Broken, Don’t Give Up, Everybody Hurts, Be Still My Soul, etc etc!!! They are all lovely. A fun time in Nandito Ako chat last night.Thank you Bebe! It was awesome to hear so many were able to make it, that’s so great. and Kurt….saying what he did. just a reaffirmation for us, but boy, its wonderful to hear him,say those words. Search @Nellie1983 on twitter. She is posting picture links from the fan dinner. Lol she is making many faces famous. You sound spazztic and I completely relate 🙂 My hubby called to tell me there was a package for me and I couldn’t get home fast enough to get my hands on that “green gem” that’s what everyone’s calling it. It does standout. BSMS has become my first song of the morning. Love it and the calming quality of the lyrics and melody. I was thinking how we talk about whether David is eating right, is safe, is happy, etc etc lol Imagine how his mom must feel, how much she must miss him. His sisters, Dad, brother, they all must miss him. I hope Kurt does some interviews about the album, love what he has to say about David. Deseret News: Libbie will be interviewed about the duet with David. 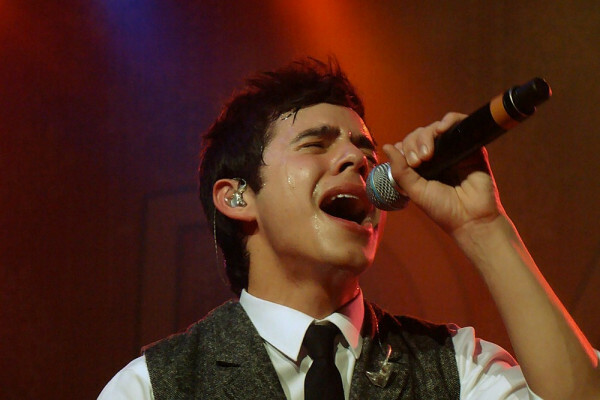 Local recording artist David Archuleta may be serving a mission, but his music lives on. We talk with Libbie Linton, a Utah performer who had the chance to sing a duet with him on his new CD. You’ll see how it all came together. The pictures are in for the BEGIN. photo contest! Yesterday was the deadline. There were tons of submissions (including mine lol) Some very nice pictures. 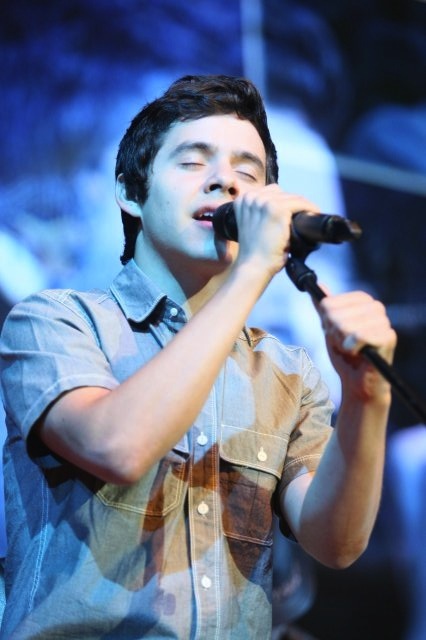 MTV News Billboard Top 200.
and the latest from “American Idol” runner-up David Archuleta landed at #28 (11,000). Hey Sky, I am not much of a reporter, but am happy to tell you how great it was to spend time with David fans last night. We met at Simply Thai and the owner was very gracious. She showed us where David usually sat when he came in with his family, then she added he usually would sit in the corner when he came with his friends so that no one would notice him. Tawna was there with her husband Ron, Shawna and Patti came. Patti looks so good and seems to be doing well. Nanaweis (spell?) was kind enough to facilitate my getting there. We had a total of 31 fans. I think the one coming the farthest was from St. George, a 300 mile drive. Nellie saw that we all had pics, treats, bookmarks and memorabilia to take home. Someone with a guitar played and sang a fun parody of “You Can” called “If Anyone Can Make Me LDS, You Can”. Sorry I did not get names of givers and singers. I am already looking forward to the next time. Abrra #52 Oh, sheesh, same problem here. I was so tired last night but had to FORCE myself 🙂 to go to NA chat. I didn’t last long though. I need to get more sleep the night before chat! Thanks for all the info on BB and the twitpic. #28 is great! And that tatoo! Wow, now THAT’s a fan. I am slacking. Not to diminish Sparks numbers but the fact that David is at #3 in comparison to her just blows me away!!! 56. Thank you Dayzee!♥ Sounds like it was so much fun.. “♪♫If anyone can make me LDS,You Caaannn”♫ hahaha! 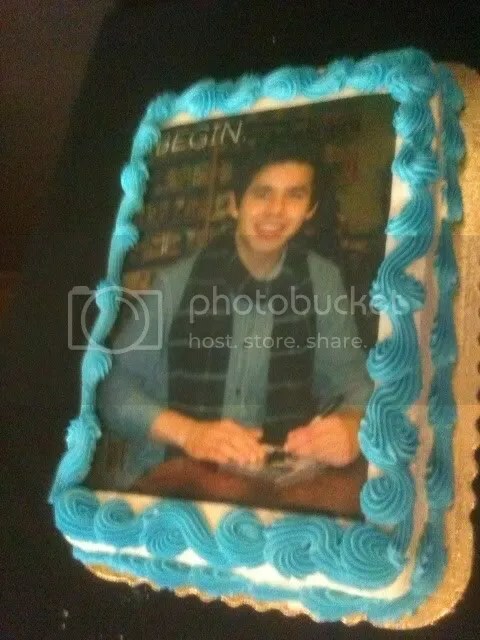 @Nellie1983 That precious piece of cake with David’s face. @Rebekahjo55 couldn’t help herself, she ate it! and she ate it ever, ever so slowly! Tawna, rofl! ok you two! 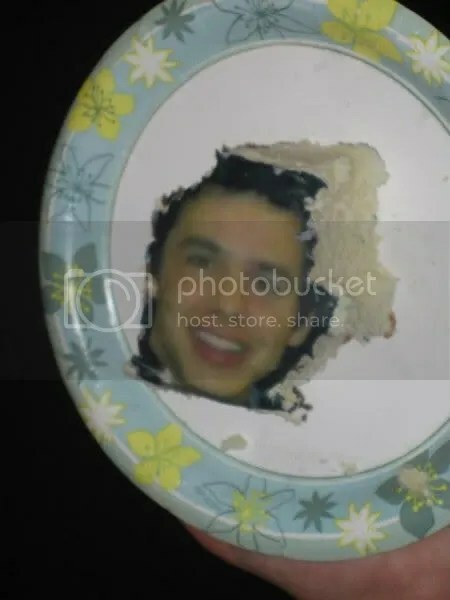 I would have eaten the cake out from under his face and saved the sheet of icing. haha I just could NOT stick a fork in that face. No way. Nope. Couldn’t do it. MT: Doc, I have a bad case of ODD. Can you help me? Dr. Abrra: Of course, what’s the problem? MT: Well, Doc, I can’t get David’s voice out of my head. I hear him all the time, even in my sleep. Dr. Abrra: Simple, try taking off the headphones. MT: Thanks, Doc! Why didn’t I think of that? 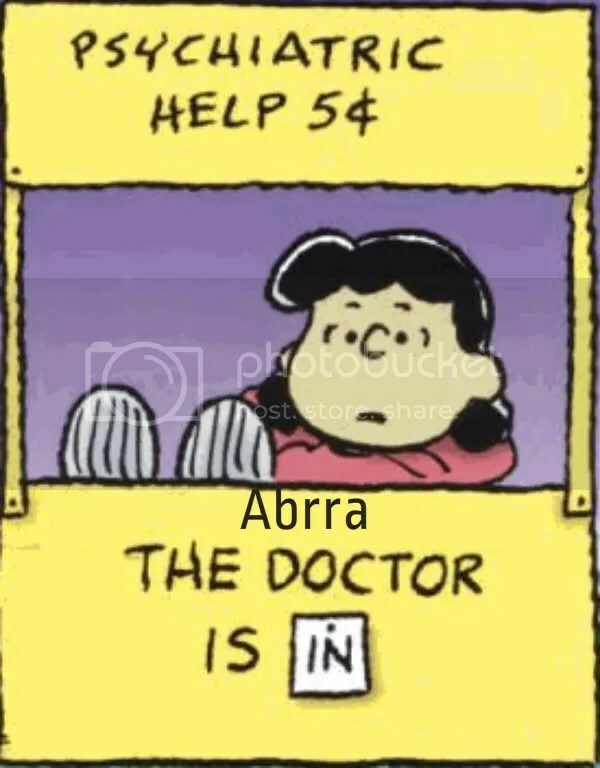 Dr. Abrra: That’ll be 5 cents, please. MT diagnosis: patient suffers from a type of auditory hallucination called musical ear syndrome. People with this illness will hear music playing in their mind, usually songs they are familiar with. Dr. Abrra, Any cure for this “musical ear syndrome” you speak of? Hope not! I’m thrilled but not surprised that BEGIN. made it to the Billboard 200 charts! WTG David and team, including us fans! Thanks for reporting the numbers to us. We finished the first three weeks of Nandito Ako in chat last night. Two more weeks to go. Time flies too fast in some parts of Davidland and not fast enough in other parts. He makes me happy too! Loved hearing about the fan gathering! Glad you got to participate! Reading all the fanfare and seeing the cake pix had me in hysterics! Doing the happy dance for you today! I feel your joy, even though my “little green gem” hasn’t arrived yet. They ARE all lovely and his phrasing is impeccable!! 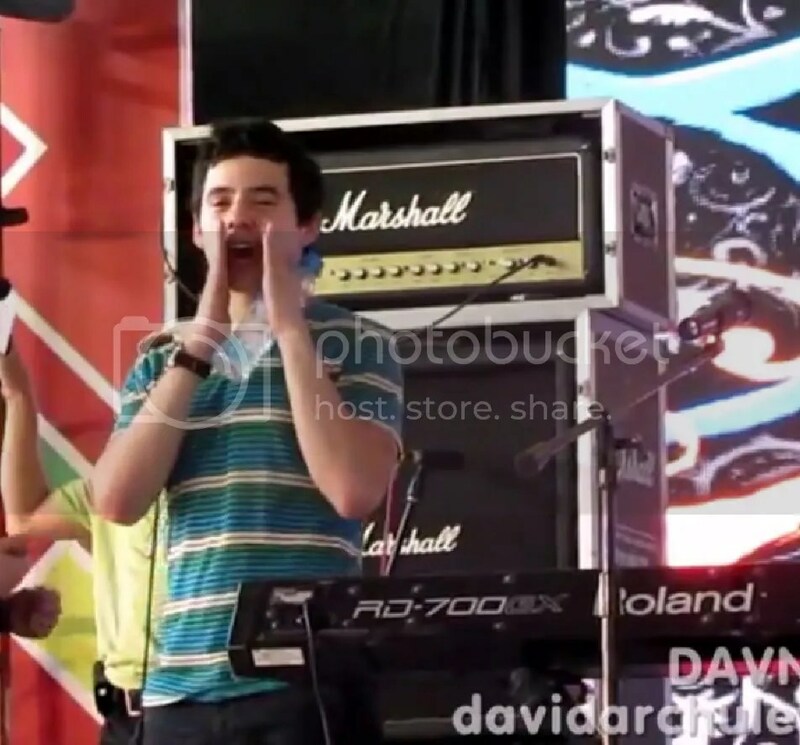 ahhhhhhhhhh I almost forgot, my failed attempt to take the stage, poor david, look at his face. good thing I wasn’t there…D cake would have been missing chin and lips before the party started. Gladys, I remember your failed attempt! jajajaja! Jan, BOTW,… agree with what you said about the very end of the song. The only known cure is to be in the same room with David when he sings. Unfortunately, the syndrome recurs when he is gone. Never have I seen that “smile” expression on David’s face, until that video. He looks totally freaked out by this situation. down, without a snag at all…just smooth as silk!” A lot of that sliding up and down of his voice on this album, making it so wonderful to listen to! Heavenly sounds, I tell you! This article, from he Hollywood Reporter, discusses how well BEGIN is doing on all the charts. 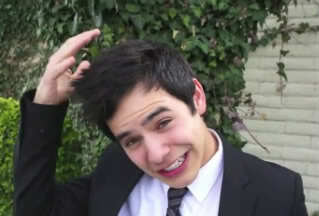 David Archuleta proves it’s not impossible to chart while on a Mormon mission. “When season seven runner-up David Archuleta announced last December that he was devoting the next two years of his life to a mission for the Church of Jesus Christ of Latter-Day Saints, it was presumed there would be no music from the Idol finalist until he returned home in 2014. So it may be a surprise that Archuleta’s latest album debuts on The Billboard 200 this week at No. 28. I just want to express my sincerest thanks to David who left this very inspiring album for us. It’s hard for me to find words to express the greatness of this album. All I feel is “LOVE” when I am listening to “Begin.” And for his album to get to the top of different charts in a very short period of time just shows how much his fans love him back. Proud to be an Archie! It’s starting to happen. A few days ago I wrote that “I keep avoiding ‘Pride'”. But that is already changing. It didn’t take long; I love it now. So energetic! I just saw this tweet by Marylee and Whoa!!!! Gotta see PRIDE LIVE!…think he should open with it..talk about a crowd on FIRE! Geez! I’m in a Broken vortex vortex vortex vortex. 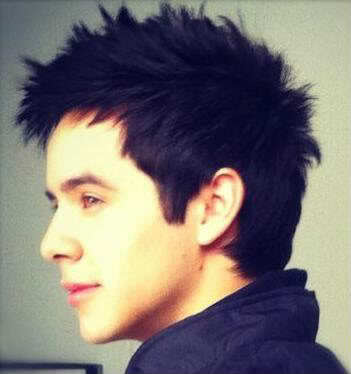 @DavidArchie FANS TREND TONIGHT: “New Album Begin” at 7:00 PM UTAH; 9:00 PM EST Archuleta — Pass the word around. I’ve received an offer to gift more BEGIN. cd’s and have sent the addresses to South America!! I have 4 requests for itunes gift cards. If anyone is interested please email thevoiceda@gmail.com for details. Thank you all wonderful David fans!! Have been out of the fan loop for a while, had my friend visiting and we have been busy having fun. She thinks David is cute and can sing, but not a fan like me, so I want here to discover the more mature David when he returns to his career. She is a big Usher fan. WOW, that is all I can say about BEGIN. doing so well. Brings tears to my eyes. IMO, this album was a genius move in David’s part. PERFECT, PERFECT, PERFECT, BRAVO, DAVID!!!!!!! BTW, does anyone know if FOD is down again? I’m not able to open the site. Gladys that pic at #73 is the bestest yet. Don’t know how many of those I can handle, but keep searching and sharing. Like MT said, that pic has all the good stuff: NECK, dimples, smile, hair, jawline, did you see that perfect ear? and not even going to mention those lashes. My fav song is BOTW. He approaches us saying when we are tired and maybe feeling sorry for ourselves he will dry our tears. This is not some words put together to make a lovely rhyme, but this is David who has actually dried my tears. Raise your hand if he has done this for you. Then he tells us no matter how dark and painful it gets, he will still be there and be a buffer between us and our troubles. He tells us to chase our dreams, because they are there and will shine for us if we make the effort. And when we succeed, he is still right behind us, a friend we can rely on. Not that person who becomes jealous of our success and wants to tear us down. He finishes by telling us he doesn’t want us to worry. He will comfort us. I find that final “ease your miiiiiiiiiiiiiiiiind” full of grit and determination. And I love the “I will lay me doooooooooooooowwwwwwwwOO OO Ohohoh. In the end, I realize how thankful I am to have David and others like him in my life. And he makes me want to be that kind of friend. Thank you David. Way to go Dayzee….just when I was feeling the distance from him even greater, you stopped me in my tracks. Fi, that part IS killer.His hmmm’s and hummmms are awesome in that song too.Love those. Bebe, haha I listen to Pride more in the car than at home.wakes me from that hypnotic state in traffic jams! All these songs are so brilliantly sung by David, when he sings Memphis “sk-yy ” ye gads! all the parts in his falsetto voice on all these songs…so beautiful.going from his lower register, to those high notes, spot on and clear as a bell. Gahhh! Sky, so glad to have you as a David friend!! I was wondering if anyone of you great fans also are active on twitter and heard what’s up with the FOD site. I’m hoping that it’s being worked on. I love all of David’s sites and am so happy to see them so active and this wonderful sites and FOD are two of the most active ones. I just would hate to have any site disappear. I feel the sites help fans stay connected and keep up with all things David. Cq…I think that perhaps it would be helpful if someone from the site or any site in a similar situation would pass along a message of information to a site close by as in this day and age, we get such a panicky feeling not knowing especially with David away. Good morning ! The site is still down but we’ll continue to tweet news and updates today until we’re back up and running again. Thanks! Thank you Abrra, it really helps to know that. I know SandyBeaches, because of him being away, I do kinda get in a panic mode when I can’t get unto ALL his WONDERFUL active sites. Awesome MGR. I just love how he sings that word too. Pride has been one of my favs on the album from the beginning. The Memphis SkyyyYYY is ♥ haha i make my own MGR of that part every time by just rewinding that part over and over. Most of the time they are impromptu, just David doing what comes natural, and not planned. They may not have been on every take. I’m so glad Kurt Bestor used so many of them in this album. They really make it a joy to listen to. I am constantly finding something new and beautiful. Nice mention of David A on Billboard. He’s had an album chart every year since his run on AI, not to shabby 🙂 This doesn’t include Asia releases of The Other Side Of Down Asia Edition & Forevermore, both are still selling well. Emmegirl, isn’t that great! 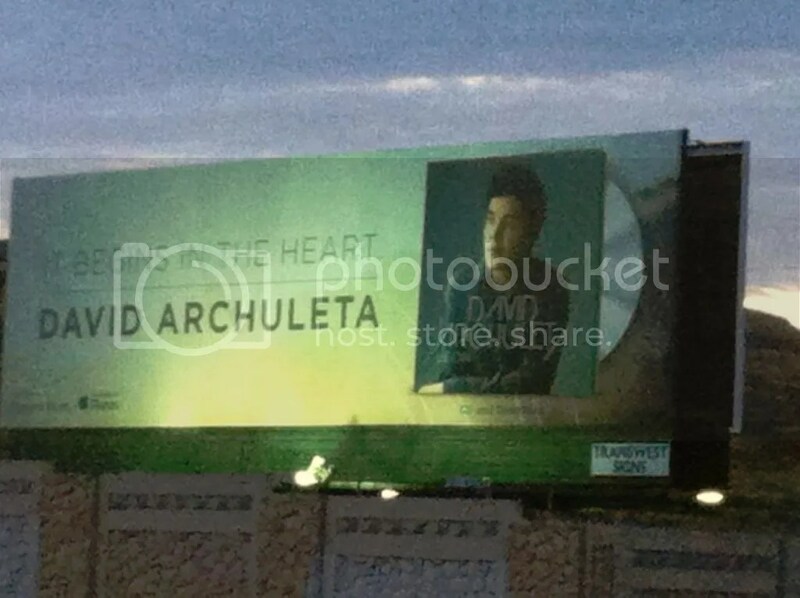 David Archuleta is on a billboarding streak!!! I tweeted in this order: Broken, Everybody Hurts, Somewhere Only We Know, Beautiful, Angel. Almost gave them the entire album lol. hahahaha I would give almost that same list but add Pride. Would LOVE to see a MV of him rocking out to that! MT, they definitely know how to tease the fans! I am getting excited! LOL!!! I’d be damned if David was able to do a MV for Begin besides his interview during that short period of time. If he did, HANDS UP, BOW DOWN for this kiddo! Yeah, I don’t know when he’d have had time to shoot a video. But I’m thinking that maybe they will use footage of him from while he was recording and add in some other parts shot with other people after he left. There were some tweets about a guy learning to ride a scooter for a DA video, and a couple of other things, so maybe they will blend it together for the MV. I have learned not to underestimate this kiddo. I was soooo excited when I got mine. Nothing like holding it in your hands. 🙂 Congrats! 100.Emme, “99 woot-e-hoo-hoot!” hahaha yeah boy!! Angelica! haha! Is that a new little Mr Smiley?? he is so cute!! Sky, Mt. thank you for your kind words, now this is my new hobby (soon to be my obsession lol) totally inspired by Mr. Archuleta the singer and the person, all I need is some new ideas of the moment(like funfee’s wish) sometimes I was flooded with it other times I was like …blank…haha. In BEGIN. there’re a lot of those”moments” but right now I don’t have so much time to sit down and do what I have in mind, hope to have more free and quiet time for my new hobby soon :). Angelica, you are the queen of emoticons, I love them, I know only how to do this 🙂 and this 😦 haha. dja, do you know what ‘General AAS’ means on the ratings lists? It’s making me crazy not to know (one of those OCD things with me). Just wondering.